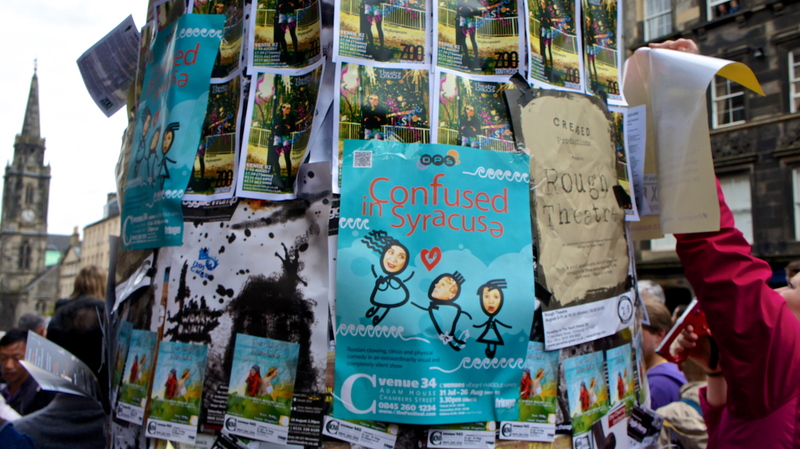 The main allure of a Fringe Festival is the opportunity it affords to broaden one’s thinking : the chance to engage with new art forms, stumble upon new ideas, marvel at new uses and depart with a new appreciation for passion, technique and creativity. 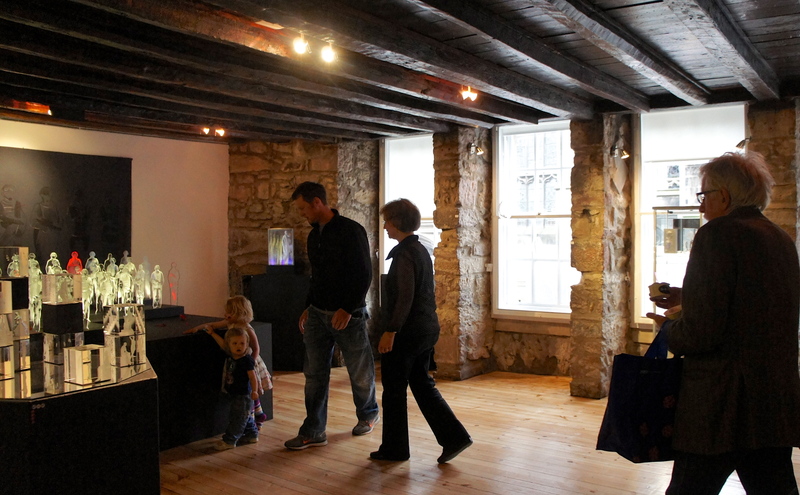 So it was at the Edinburgh Festival Fringe Exhibition, which concludes this 31st of August. 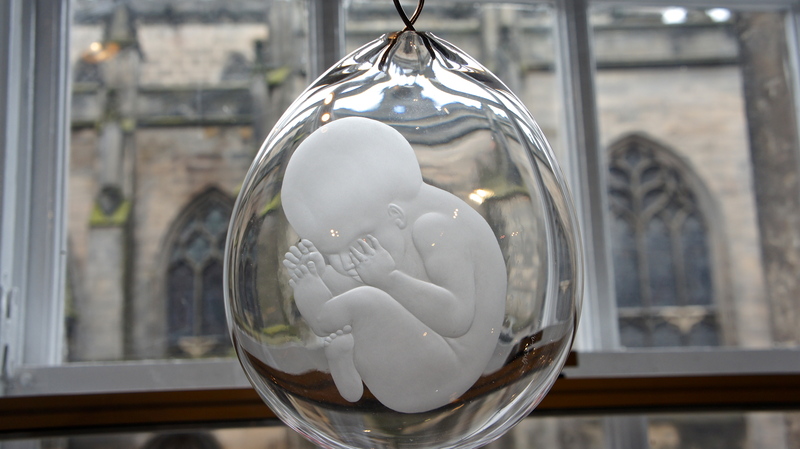 In the category of visual art, Alison Kinnaird was a new experience, and her work with glass and light was a new interpretation of how two elements – everyday and everywhere – fuse to create a completely original oeuvre of meticulous detail and consummate artistry. Ms Kinnaird combines the ancient technique of wheel engraving with the modern technology of LED lighting, bringing luminescence and colour to her work on display – lit panels, smaller engraved works and drawings in charcoal, ink-wash and pencil. 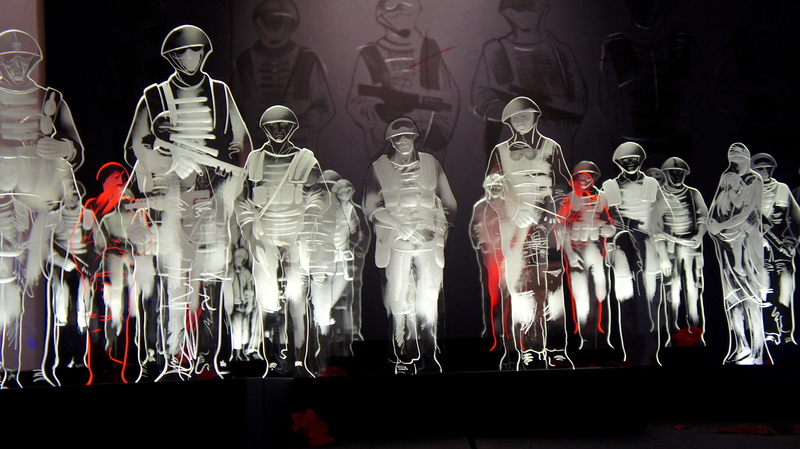 As an internationally well reputed artist who works with glass, she is known as much for her small intimate pieces as for her large architectural installations. She received an MBE in 1997 for her contributions as an artist and a musician. 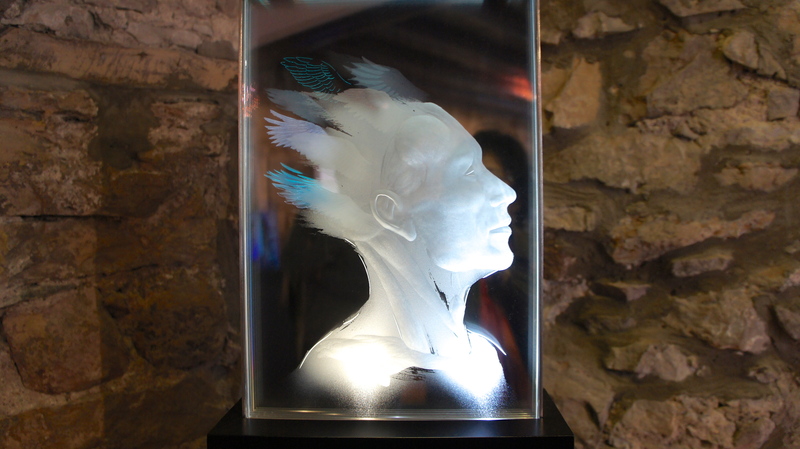 Icarus, an optical glass panel, wheel and sandblast engraved, with programmed LED lighting and dichroic colour stood out in the masterfully lit cavern of a gallery, inviting a viewer to reflect on its symbolism, its purity and its suggestion of unnerving spirituality. 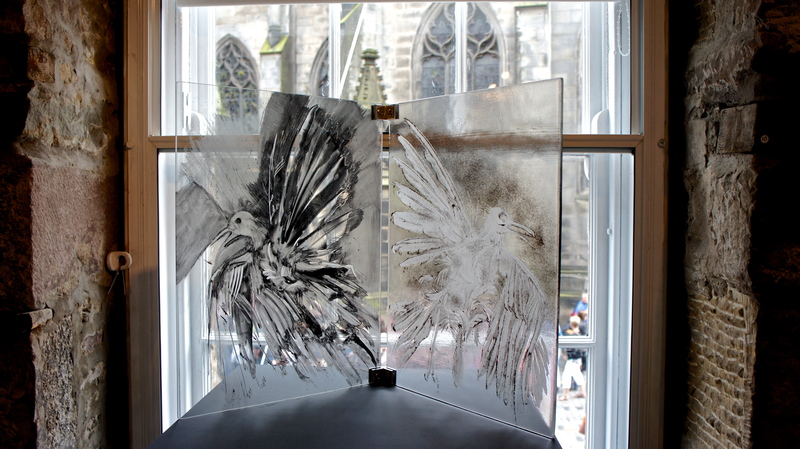 Apart from the ink, charcoal, pastel and pencil drawings, the art-of-glass or art-in-glass works stood testimony to a range of techniques and mastery : sand blasting, water-jet cutting, wheel-engraving, lost-wax casting, enamelling; the use of various elements in her pieces – frit (glass powder), fused panes, a bird’s feather as a paintbrush, digital printing, flashed glass, painted textiles, lead crystal and black resin. 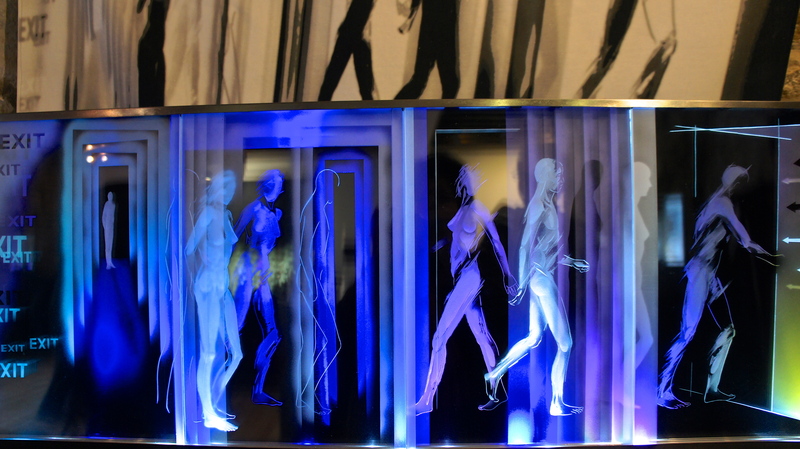 Each of her pieces spoke eloquently of her vision, and in her words : The purity of the medium adds a spiritual dimension – its transparency and mirror surfaces give different insights on the human condition. In more than one way can one ‘see through’ the images engraved on its surface. Often I use the glass in its character of a window or a doorway, sometimes to suggest isolation or entrapment, sometimes with the figures poised between two worlds. Sometimes they confront an opposite or a mirror image. Glass is a surreal material – it is there and yet not there. Ms. Kinnaird is also one of her country’s most famous champions of the Scottish harp, playing both gut and wire-strung harps and recording several critically acclaimed albums. She is researcher, author, artist, musician, performer, lecturer and teacher in her two fields of passion, glass and music … yet there she was, unassuming and friendly, playing with her grandchildren, easy to talk to, gracious with her permission to photograph her work. And so you come away, with your pictures and your memories. The experience in itself – the work, the artist, the event – is fodder for reflection : the serendipity that let you glimpse new worlds so antipodal to your own, the exquisite attributes of an aspect of art previously unknown to you, the chance encounter with an artist who obviously sees the world in a very different light. So yes, visiting the Fringes is to discover yourself, as you venture beyond the mainstream, encounter the obscure or the unusual and come face to face with artists and visionaries, risk-takers who have remained true to their beliefs and convictions. The result ? A showcase of the fanciful, the hypothetical, the quixotic and the utopian. Self-expression – whether alternative or conformist, juried or not – is to be human, and the transcendence of the human spirit is best manifest in events such as these. Previous Post Who is a Citizen, what is Citizenship ?